Rider-style Ducati frame with a sporty flair, made of matte black material with a keyhole bridge and flexible dual-layer rubber temples with a double spring hinge. 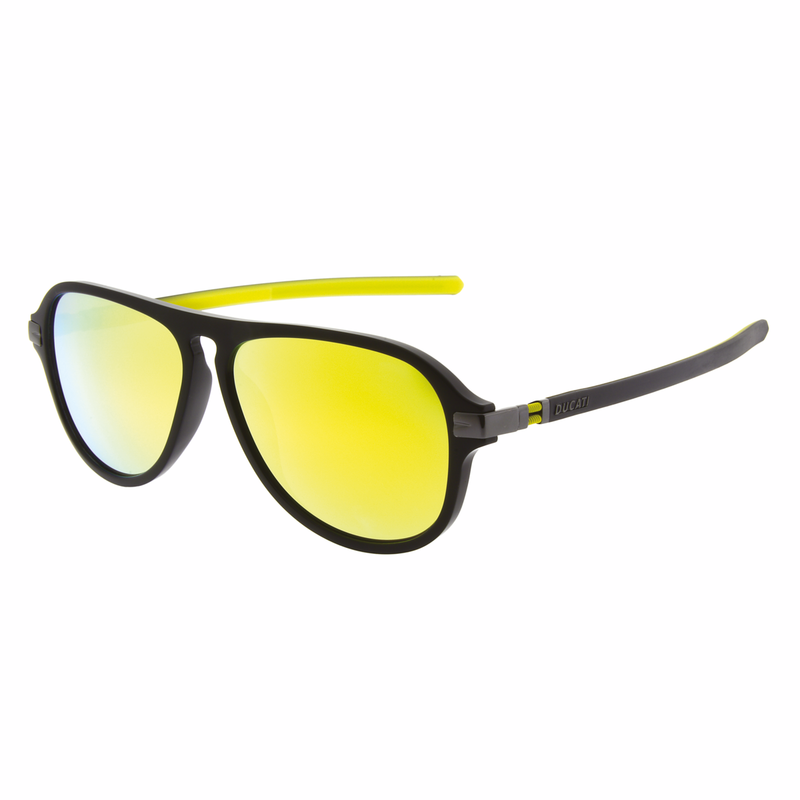 The mirrored yellow lenses match the interior of the temples, giving them a sleek design. They have an excellent fit, are very light, and maximum grip, making them perfect for use while riding your motorcycle.